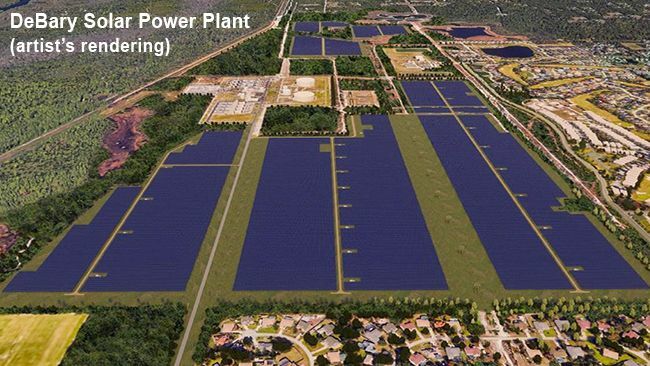 "These three solar power plants are expected to eliminate nearly 800 million pounds of carbon dioxide emissions in Florida each year upon commercial operation. That’s the equivalent of taking about 70,000 passenger cars off the road each year," said Catherine Stempien, Duke Energy Florida state president. “These projects represent our commitment to the environment and more fuel diversity in the state as we strategically pace the expansion of renewable generation for our Florida customers’ benefit." Duke Energy Florida is a subsidiary of Duke Energy (NYSE: DUK). Headquartered in Charlotte, N.C., Duke Energy is one of the largest energy holding companies in the U.S., with approximately 29,000 employees and a generating capacity of 49,500 megawatts. The company is transforming its customers’ experience, modernizing its energy grid, generating cleaner energy and expanding its natural gas infrastructure to create a smarter energy future for the people and communities it serves. A Fortune 125 company, Duke Energy was named to Fortune’s 2018 “World’s Most Admired Companies” list and Forbes’ 2018 “America’s Best Employers” list. More information about the company is available at duke-energy.com. The Duke Energy News Center includes news releases, fact sheets, photos, videos and other materials. Duke Energy’s illumination features stories about people, innovations, community topics and environmental issues. Follow Duke Energy on Twitter, LinkedIn, Instagram and Facebook.